Thanks for being our featured artist for the second time at Shift Art! You were our very first featured artist in December, 2015, and you have come a long way as an artist since then. 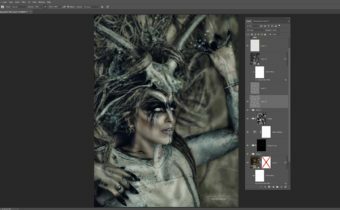 There are so many things to learn in Photoshop and so many different ways to achieve results. I try to push myself to learn as much as I can and to not stagnate. What would you say are the biggest changes you have seen in your own art over the last two years? The biggest change for me is that I have concentrated on photography alongside digital art. The majority of my work now incorporates much of my own photography. I have spent much of the last 2 years organizing model shoots. I think this has given an extra dimension to my images. They seem to resonate more and have more meaning. My more recent work has developed a more stylized, cinematic, photo-realistic look. What have been some of the most challenging aspects of being a digital artist over the past two years? It has been challenging for me to be involved in recording tutorials and webinars. Like most artists, I have a certain style to my work so it is a challenge to demonstrate different techniques. 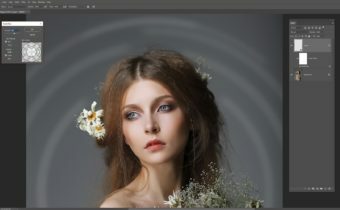 There are so many things to learn in Photoshop and so many different ways to achieve results. I try to push myself to learn as much as I can and to not stagnate. What do you wish you had known two years ago? That it is normal to have creative down-time. That sometimes you are bursting with ideas. A photographer friend of mine once told me I often seemed to have a head full of frogs. Jumping around with ideas and sparking connections and off shoots of related ideas. It is difficult to maintain such high creativity all the time and when your brain demands down time it is unsettling. You feel as though you will never have an idea for an image again. I have learned that it always comes back eventually. My favorite thing to do in Photoshop is to paint light. I remember saying that! And certainly I still experiment with lots of layers of various blend modes. How would you answer that question today? My favorite thing to do in Photoshop is to paint light. 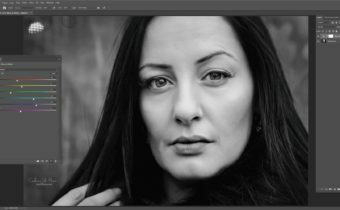 I use dodge and burn in pretty much all of my recent work and I am always astounded at the difference it makes. Digital painting really brings your work forward in leaps and bounds and creates a polished and stylized look. Also, what are your favorite plugins or tools at the moment? I love using Color Lookup Tables (LUT’s) to alter the color grading of my work and I use Camera RAW filters in post processing to finesse the overall atmosphere of an image. I love Corel’s Particleshop Plugin for adding striking digitally painted effects. I would like to plan some more elaborate conceptual shoots, most probably location based. I have so much to learn about photography and would like to spend some time experimenting with different techniques. I would also like to extend on digital painting techniques. There is always so very much to learn. Thank you Caroline Julia Moore for further insight into your journey as an artist. Your work is always inspiring!